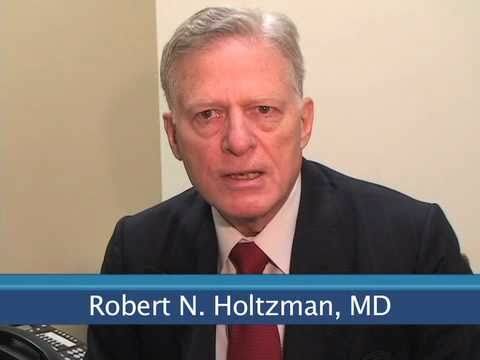 Robert N. Holtzman, M.D., is board certified in neurosurgery as well as in psychiatry and neurology. His interests in neurosurgery include cranial, spinal and peripheral nerve surgery. They include microdiscectomies, spinal decompression with stabilization and fusions and many intracranial procedures for trauma, tumor, hemorrhages and blood vessel disorders. Born in Brooklyn, NY, Dr Holtzman received his undergraduate degree from Harvard College studying biology and his medical degree at Columbia’s College of Physicians and Surgeons. He finished an internship at Harlem Hospital Center and went on to complete his neurology residency and then his neurosurgery residency and training at Columbia-Presbyterian Hospital’s New York Neurological Institute. Dr Holtzman has contributed chapters to textbooks of Neurosurgery concerning aneurysms of the brain caused by infection (mycotic aneurysms) and syringomyelia with and without the Chiari malformation. He has also contributed original articles to a number of different neurosurgical journals on a variety of topics. Dr Holtzman performed neurosurgical procedures and operations for major brain and spinal injuries at Lenox Hill Hospital and Harlem Hospital. At Columbia University he served as Associate Clinical Professor of Neurosurgery. He founded the Stonwin Medical Conference in 1983 with Mr. Ronald Winston. This conference served as a platform for inviting neurosurgeons from all over the world to New York. They came from Canada, Europe, the former Soviet Union, and the People’s Republic of China. With Mr. Winston he created traveling fellowships for neurosurgery residents through the Harry Winston Research Foundation. Five books were published based upon these conferences including the first, in 1985, “The Tethered Spinal Cord” and the last, “Endovascular Interventional Neuroradiology” which was the first book edited by neurosurgeons on this topic. Dr Holtzman serves as Secretary Treasurer and Director of the Harry Winston Research Foundation and has also had an important relationship with the Jackson Laboratory in Bar Harbor, Maine. He currently serves as Chairman of the New York City Chapter of the Jackson Laboratory’s National Council. He has collaborated with Mr. Herbert Juli, Executive Director of the World Jewish Congress Foundation, to fund graduate student fellowships at the Laboratory for biological and genetic research. His professional memberships include: American Association of Neurological Surgeons (AANS), New York Neurosurgical Society, Medical Society of the State of New York (MSSNY), and Nassau County Medical Society (NCMS).